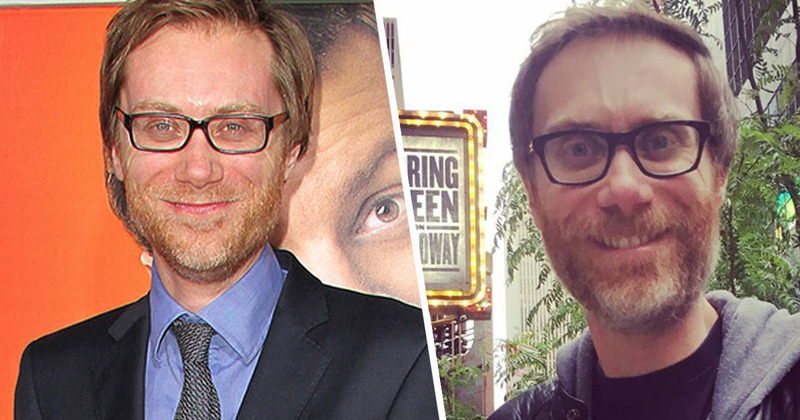 Most of us will recognise Stephen Merchant from, well, any number of things. Be it his work as co-creator of the inimitable The Office, or just his all-too-short appearance on the show as Oggy. Perhaps you’ve seen his stand-up, or spotted him standing head and shoulders above the rest of the cast on films like Hot Fuzz, The Invention of Lying, Hall Pass or Cemetery Junction. And not to mention his extensive list of TV credits. His latest outing, however, is unlike anything we’ve seen before from the Bristolian. The first pictures of Merchant’s latest project – The Barking Murders – have just been released, and it’s fair to say the usually immediately recognisable actor has undergone quite the transformation for the role. 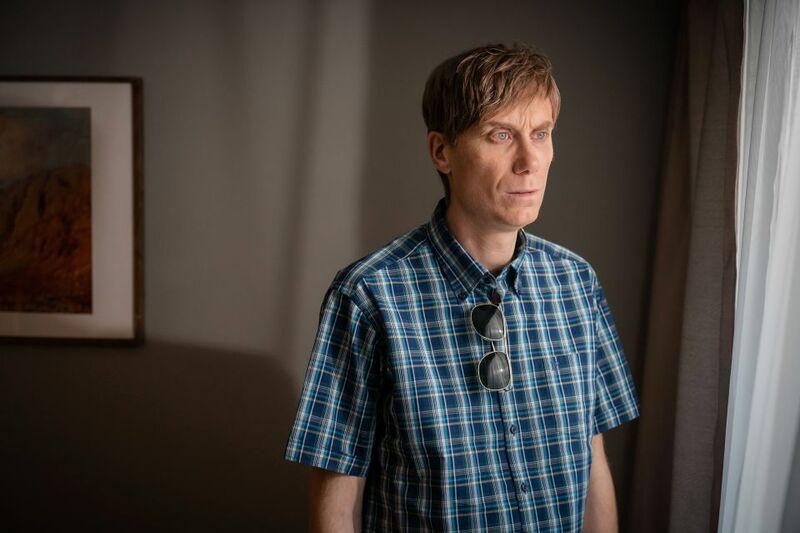 The show is a fact-based drama, centred around Merchant’s character Stephen Port who, between 2014 and 2015, murdered four men he met using dating apps. Port used apps like Grindr to meet young men, before he drugged them with fatal amounts of GHB, raped them and dumped their bodies. Port subsequently became known as the ‘Grindr killer’. Port, now 43, was given a whole-life sentence in 2016, The Guardian reports. The role is a significant departure for Merchant, best known for his comedy roles in shows like Extras and Life’s Too Short. This is a story that can’t be ignored – how four young lives were lost and their families’ brave attempt to uncover what happened. This factual drama will shed light on their story, so it’s a privilege to be a part of telling it. 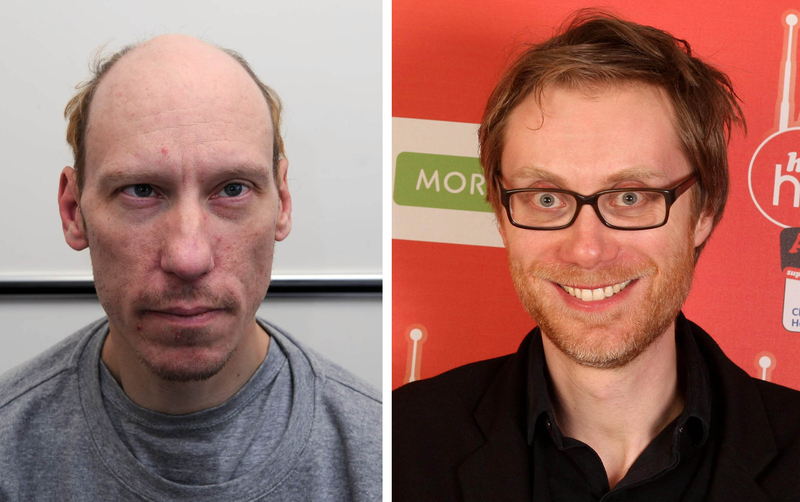 Stephen Merchant didn’t hesitate when we asked him to play serial killer Stephen Port and we are so grateful that he has agreed to take on such a difficult and challenging role. I’m so pleased that we’ve assembled such an extraordinary cast to be a part of bringing this important true story to screen with sensitivity and compassion. This compelling story shows the tireless courage and determination of the victims’ families and friends to find out what really happened. It’s an honour to tell it on BBC One. Sheridan Smith also stars in the programme, as well as Rufus Jones and Jaime Winstone. The show will tell the story of the four tragic murders from the point of view of the victims and their families as they ‘fight to uncover the truth about what had happened to their lost sons and brothers in the face of a now widely criticised police investigation’. The police’s initial investigation did not link the four deaths, despite the similarities in circumstances. The Barking Murders is set to air later this year on BBC One.